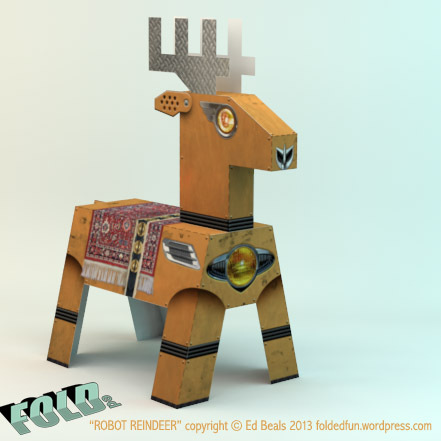 Just in time for Christmas, it’s the newest FOLDed: Robot Reindeer. 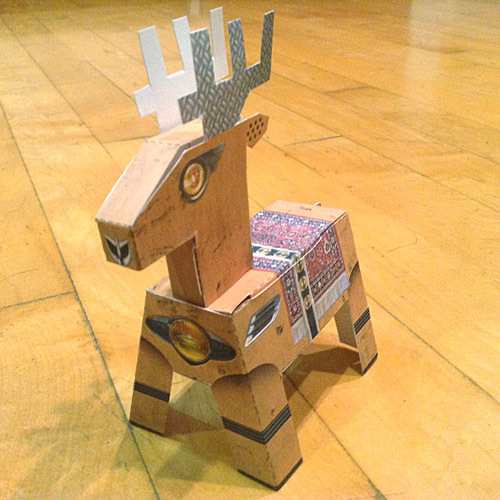 Robot Reindeer is available now from Argyle Fine Art in Halifax. Before you begin you might want to view the “Getting Started” page for tips and suggestions. 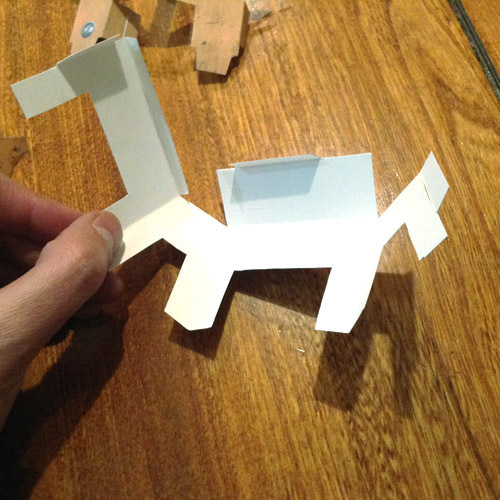 1) Cut out the body, head, and tail sections carefully along the solid black outlines. 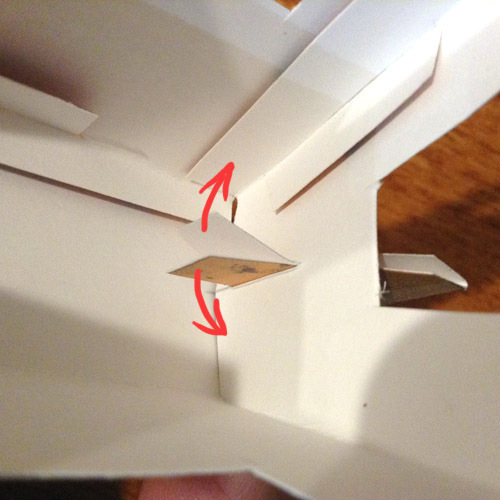 DO NOT cut along the dashed fold line. NOTE: There is a short cut just under the jaw on the left side of the head that is easy to miss. 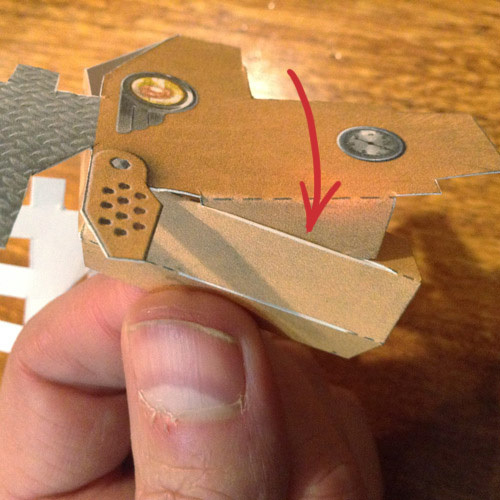 This cut allows for the front of the neck to be folded over. 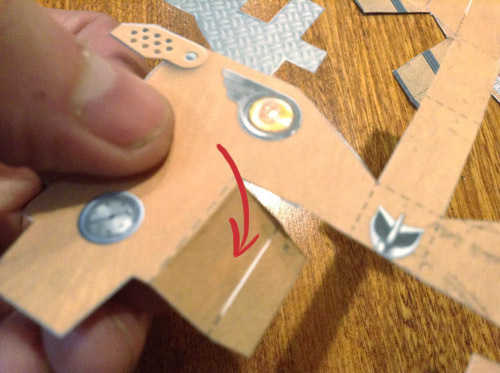 2) Cut slits along the five solid white lines. 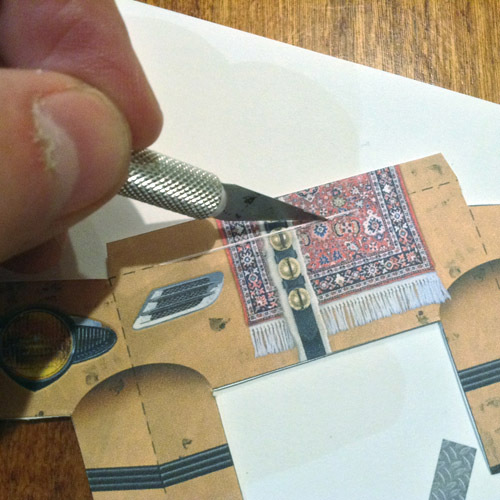 This step is easier if you use an x-acto or other craft knife. 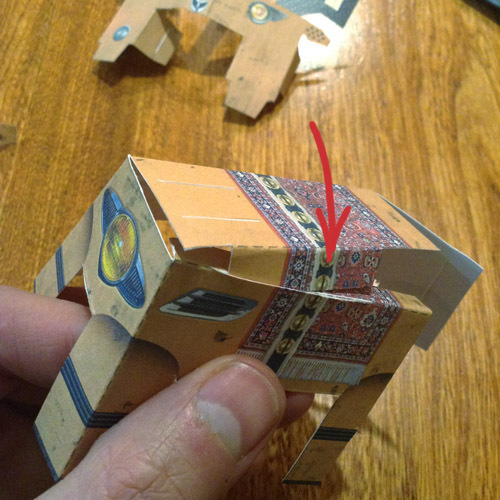 3) Pre-fold along all the dashed lines. 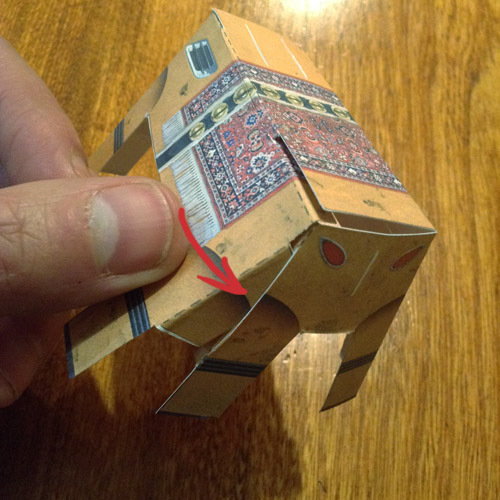 Accurate folding will make assembly much easier. 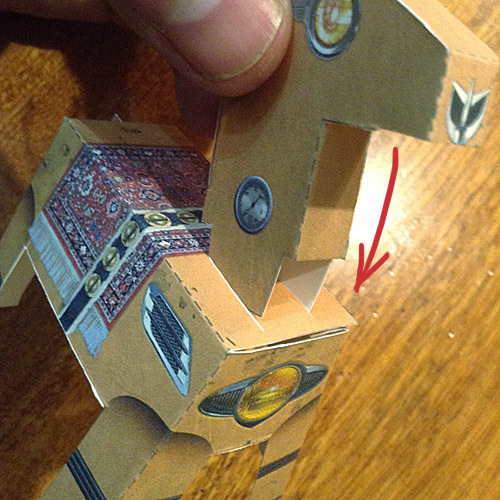 4) Let’s start with the body section. Insert tab A into slot A and then tab B into slot B. 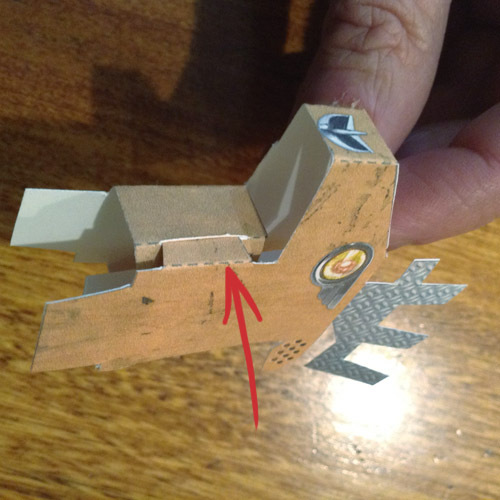 5) Fold the tail along the dashed line if you haven’t already and insert tab Z into the unmarked slot at the back-end off the body. 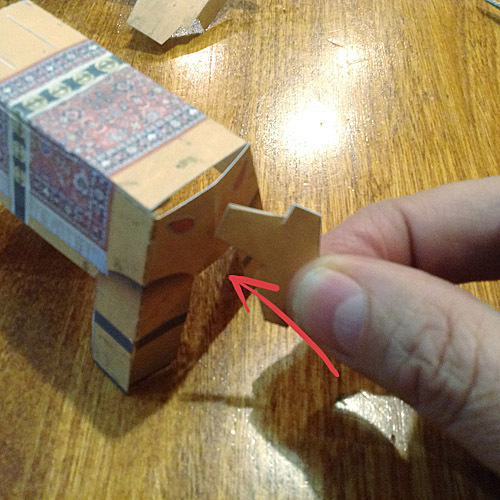 After inserting the tail, you can spread the two Z tabs apart inside the body to help prevent the tail from falling out. 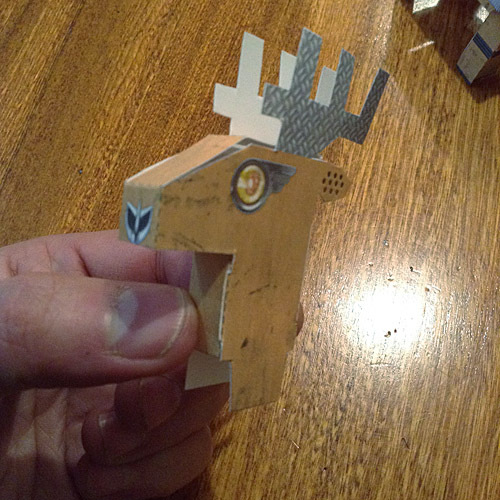 6) Now for the head section. 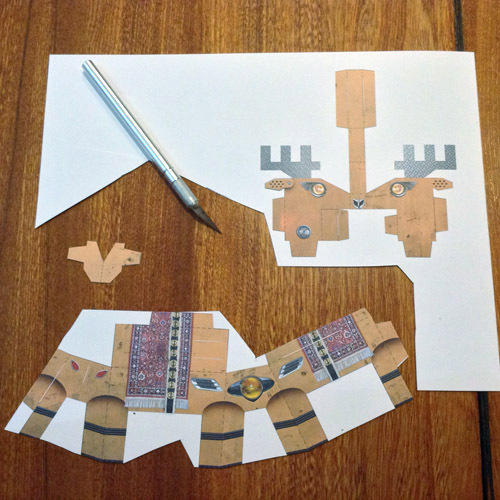 I found it easier to start by inserting tab D into slot D, and then moving on the tabs C and E.
7) Now you are ready to attach the head to the body by inserting the X and Y tabs into the X and Y slots on the top of the body. And that’s it! 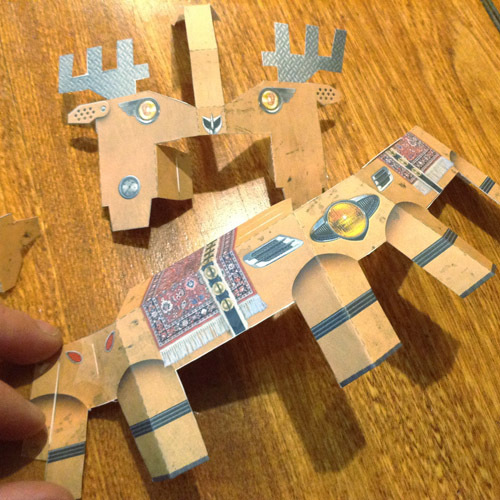 You now have a fully assembled Robot Reindeer. Enjoy!